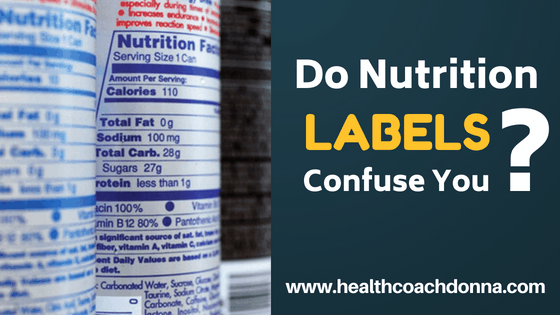 Do Nutritional Labels Confuse You? For me, it has taken a bit of effort to sort through the info on a label to figure out if this particular food it good to eat. Yes, I always suggest whole foods before packaged, process ones, but sometimes the convenience of a protein bar, shake or even a rice cracker can make life just a little easier. Look at the serving size as that can be deceptive. Like who really only eats 5 potato chips? Next check out the fats. What type of fat is in the product? 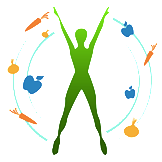 You want to avoid trans fats and partially hydrated fats. How much sugar is in the product? My big concern is the number of carbs per serving. If it’s over 25grams then I suggest avoiding it as it will be high glycemic and boost your blood sugar levels too quickly causing your body to hold onto fat. Not what you want, right? If you start with this basic list, you’re going to be in a lot better shape than most people. Also, if you have kids, engage them in label reading when you go shopping. I know it is often more convenient to leave them at home, but they need to learn how to shop. When my son was old enough, he started cooking one meal a week for the family dinner. He got to choose the recipe, write the shopping list and doing the shopping. We went to the market together and I asked questions such as, “Which one of these feta cheeses would be best?” That meant not only comparing prices, but also reading labels. Now he naturally picks up a package and looks at the label to see what’s the nutritional value.